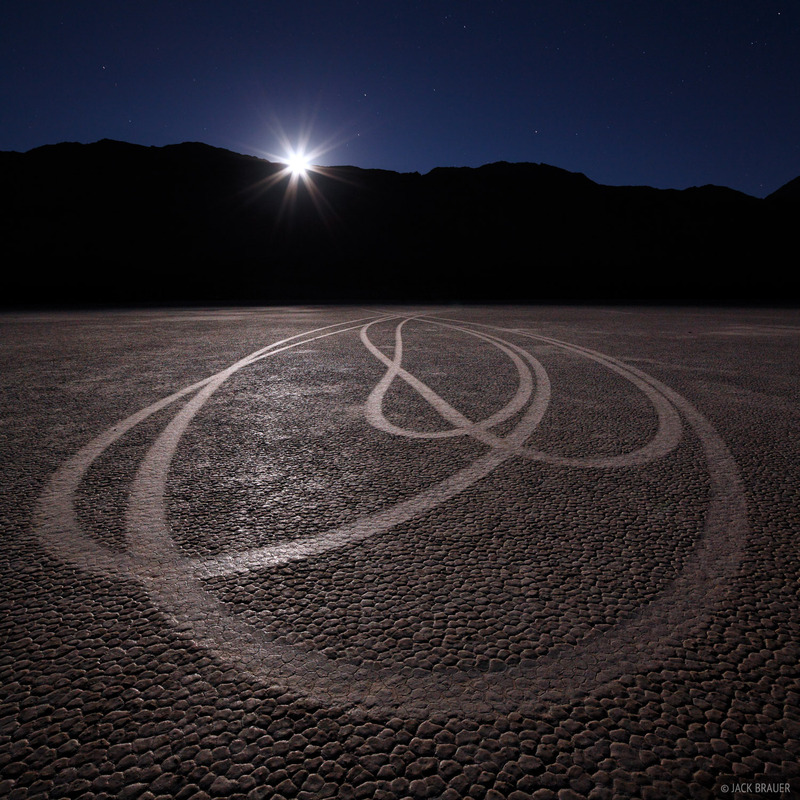 The Racetrack is a mysterious and fascinating location in Death Valley National Park - a flat dry lakebed playa in a remote desert valley where large rocks seem to have moved around by their own volition, leaving random tracks in the dry mud revealing their path. 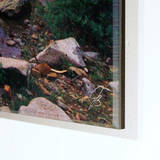 How did these rocks move? The theory is that given just the right conditions, rain will flood the playa, then freeze, and then once the ice starts melting a little, strong winds will blow the ice-bound rocks around on the slick mud underneath. It's hard to believe, but the tracks are there - something made these rocks slide all around the playa! These particular tracks - illuminated by the setting moon - are especially interesting. At first glance I assumed that they were car tracks - that some idiot had driven his car out there. 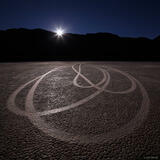 Upon closer inspection, it's clear that no car in the world could make tracks like this! Even more mysterious is that about a hundred feet away from these tracks are an almost exactly identical pattern, but aligned facing a different orientation. Photo © copyright by Jack Brauer.